Mayor Rahm Emanuel and Jesus "Chuy" Garcia ditched the campaign trail for the bunny trail this Easter weekend. 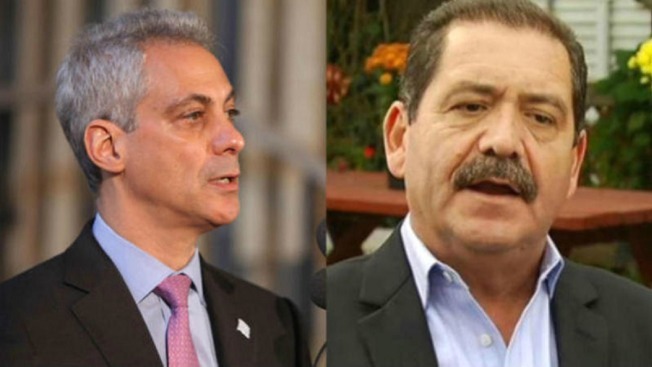 Both mayoral candidates had busy weekend schedules between the Easter and Passover holidays and the Cubs home opener, not to mention Election Day just two days away. Emanuel did not release a public schedule for Easter morning, but he stopped by Salem Baptist Church in Pullman to speak to the congregation about education. The mayor also attended an Easter egg hunt Saturday in the third ward on the Near South Side, according to Twitter. The mayor's first Easter egg hunt of the season was spent with Ald. Michael Zalewski and Atlanta Mayor Kasim Reed Saturday in the 23rd ward on the Far West Side. Mayor Reed offered his support to Emanuel at a get-out-the-vote rally in Washington Park as well. In a nod to his own heritage, Emanuel also wished all his Twitter followers a happy Passover. Garcia, meanwhile, skipped the Easter egg hunts and went directly to an Easter Sunday service at home parish, Epiphany Church on the Southwest Side. Garcia's busy Sunday schedule includes a stop at another church, Greater Harvest M.B. Church, where he will address the congregation with the Rev. Jesse Jackson. After his church stops, Garcia will head to Valois Restaurant in Hyde Park with Dr. Cornel West, who has endorsed him for mayor. The last stop for Garcia is the Cubs home opener at Wrigley Field. Emanuel has not indicated whether he will attend the game, but if he does it looks like there will be an even bigger rivalry brewing in the stands than on the field.